Family firms, which make up about 90% of China’s 21.6 million private businesses, are on the cusp of a sweeping succession wave that may be the biggest the world has seen yet. Some three million founders will hand over the reins in five to 10 years. China has not experienced such a wealth transfer of this scale before. Private firms did not emerge until after the country launched market reforms in 1978. Already some big name Chinese entrepreneurs have done the handover. Zong Qinghou (71), Founder of drink maker Wahaha, has named his 35-year-old daughter Zong Fuli as President. Yang Guoqiang (62), Founder of Foshan-based real estate and private education firm Country Garden, in 2005 transferred management and ownership to his daughter Yang Huiyan. She now has a net worth of USD19.2 billion and is the sixth richest person in China, according to the Bloomberg Billionaires Index. The succession shift won’t always be seamless. Many Chinese family businesses are in traditional industries like export manufacturing and face challenges such as rising labor costs. But younger executives are gravitating toward fast-growth sectors like e-commerce. 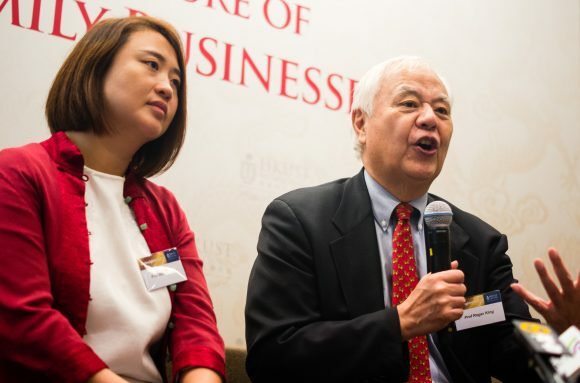 Only 40% of the next generation heirs are willing to take over the firms, and often do so only because of pressure from their parents, says Roger King, citing the 2015 Chinese Family Business Succession Report. Then there is the generation gap. Many of the second generation have been educated overseas. By contrast, their fathers often never finished high school and adult life has been focused on building their companies. That can add up to huge differences in management style between the founders and their offspring, says Rebecca Wang, an expert on family businesses and a partner at PwC China in Shanghai. Some company founders are looking outside the family for professional managers, the South China Morning Post reports.